Two of the most crucial questions that haunt humanity are, "Who am I" and "What's going to happen in the future?" Many people lose sleep at night worrying about the future, wondering what will happen tomorrow. Astrology claims to have the solution to these basic questions. They offer daily horoscopes to predict individuals' futures. "What's your sign?" crops up in many casual conversations. The ancient occultic art of astrology has become very popular in our 20th-century culture. For every personal horoscope, the moment of birth is the essential starting point. This, coupled with the latitude and longitude of the individual's birthplace, provides the initial package for the usual astrological chart. While this is elementary, it is not complete; a factor known as "true local time" must also be considered. This "true" time is arrived at by adding or subtracting four minutes for each degree of longitude that your birthplace lies to the east or west of the center of your time zone of birth. Once this has been accomplished, the next step is to convert this "true" time into "sidereal" or star time. This is done with the aid of an ephemeras, a reference book showing the positions of the planets in relationship to the earth. Checking this star time in an astrological table is the last formal move, for in doing so, the theme of the individual's "ascendant" -the astrological sign that is supposed to have been rising on the eastern horizon at the moment of birth -is revealed. Once you have developed this data -these simple steps are no more difficult than solving a seventh-grade math problem -then you are ready to "chart" your horoscope. This means you align the "ascendant" with the nine-o'clock point on the inner circle of the horoscope, and from there you are prepared to "read" the various zodiacal "houses" that control your life and fortune (Rene Noorbergen, The Soul Hustlers, Grand Rapids, MI Zondervan, 1976, pp. 176,177). One's future can be forecast, allegedly, because astrology asserts the unity of all things. This is the belief that the Whole (or all of the universe put together) is in some way the same as the Part (or the individual component or man), or that the Part is a smaller reflection of the Whole (macrocosmic/microcosmic model). The position of the planets (the macro) influences and produces a corresponding reaction in man (the micro). This makes man a pawn in the cosmos with his life and actions pre-determined and unalterable (Michael Van Buskirk, Astrology. Revival in the Cosmic Garden, Costa Mesa, CA: Caris, 1976, p. 6). Noorbergen concludes, "To believe in astrology, you must support the philosophy that you are either a 'born loser' or a 'born winner.' The stars, we are being told, do not merely forecast the course of our lives, but they also cause the events to take place, They both impel and compel. . ." (Rene Noorbergen, op. cit., pp. 178, 179). The claims that astrologists have made have drawn severe criticism from the scientific community. In September, 1975, 186 prominent American scientists, along with 18 Nobel Prize winners, spoke out against "the pretentious claims of astrological charlatans," saying, among other things, that there is no scientific basis whatsoever for the assumption that the stars foretell events and influence lives. The following are some of the reasons the practice of astrology must be rejected as both unscientific and unbiblical. Astrologists are victims of their own system. They cannot have the objective authority necessary to explain our own world. If everything is predetermined in conjunction with the zodiac, then how can the astrologists get outside of that fatalism to accurately observe it? What if the astrologists themselves are predetermined to explain everything by astrology? There is no way they can prove their system if they are pawns in that same system. By contrast, as Christians we can test our own world view because someone, Jesus Christ, has come from outside the "system" to tell us, objectively, what our system is like. The problem of authority in astrology is graphically revealed when one realizes there are many systems of astrology which are diametrically opposed to each other. Astrologers in the West would not interpret a horoscope the same way a Chinese astrologer would. Even in the West, there is no unanimity of interpretation among astrologers, seeing that some contend for eight zodiac signs rather than 12 while others argue for 14 or even 24 signs of the zodiac. With these different systems employed by astrologers, an individual may go to two different astrologers and receive two totally opposed courses of behavior for the same day! This is not only a possibility, it is also a reality, for a simple comparison between astrological forecasts in daily newspapers will often reveal contradictions. Astrology is based upon the premise that the planets revolve around the earth, known as the "geocentric theory." This theory was shown to be in error by Copernicus, who proved that the planets revolve around the sun, not the earth. This is known as the "heliocentric theory." Since astrology is based upon the refuted geocentric theory, its reliability is destroyed. Since the basic assumption is false, all conclusions, even if feebly reinterpreted by today's knowledge and drawn from this assumption, are likewise false. One of the major misconceptions that is the basis of astrology concerns the number of planets in our solar system. Most astrological charts are based upon the assumption that there are seven planets in our solar system (including the sun and the moon). In ancient times, Uranus, Neptune and Pluto were unobservable with the naked eye. Consequently, astrologers based their system upon the seven planets they believed revolved around the earth. Since that time, it has been proven that the sun, not the earth, is the center of the solar system and that three other planets exist in our solar system. According to the astrological theory, that the position of planets has a definite influence upon human behavior and events, these three previously undiscovered planets should also have an influence upon behavior and must be considered to cast an exact horoscope. Since they usually are not considered, the astrological theory breaks down, for no accurate horoscope could be charted without considering all the planets and their supposed influence. A constant source of embarrassment for astrologers is the birth of twins. Since they are born at exactly the same time and place, they should have the same destiny. Unfortunately, this is not the case, for experience shows us that two people who are born at the same time can live totally different lives. One may turn out to be very successful, while the other ends up a failure. The fact that twins do not live out the same lives shows another flaw in the theory. A serious problem with astrology is its limited perspective. Astrology was born in an area close to the equator and did not take into consideration those living in latitudes where the zodiac signs do not appear for the same periods of time. As Michel Gauquelin points out, "Astrology, begun in latitudes relatively close to the equator, made no provisions for the possibility that no planet may be in sight (in the higher latitudes) for several weeks in a row" (Michel Gauquelin, The Cosmic Clocks, Chicago, IL: Henry Regnery Co., 1967, p. 78). This means those living in the higher latitudes in places such as Alaska, Norway, Finland and Greenland have no planetary influence in their lives, for it is almost impossible to calculate what point of the zodiac is rising on the horizon above the Arctic circle. Since this is the case, one of the basic pillars of astrology now crumbles, as Van Buskirk points out, "Astrology can hardly be scientifically based on its own premise that the microcosm reflects the influence of the macrocosm, when one of the microcosms (man) above the 66th latitude is left uninfluenced by the cosmos" (Michael Van Buskirk, op. cit., p. 9). The position of the sun has absolutely no musical significance. The musicians are born throughout the entire year on a chance basis. No sign of the zodiac or fraction of a sign favors or does not favor them. We conclude: The assets of scientific astrology are equal to zero, as is the case with commercialized astrology. This is perhaps unfortunate, but it is a fact (Paul Couderc, LAstrologie, "Que Sais-je?" 508; 3rd ed. ; Paris: Presses Universitaires de France, 1961, pp. 86-89, cited by John Warwick Montgomery, Principalities and Powers, p. 106). The statistics to support the predictive claims of astrologers are simply not there. Another major problem with astrology concerns the fact that horoscopes are cast from the time of birth, not from the time of conception. Since all the hereditary factors are determined at conception, it should logically follow that the planets could begin influencing the persons destiny immediately after conception. The problem is, of course, trying to accurately determine when conception took place, which is nearly impossible. However, if the planets do exert an influence over a person's fate, it should start at the time of conception rather than the time of birth. The early astronomers were not aware of precession and therefore failed to take it into account in their system. The twelve signs of the zodiac originally correspond with the twelve constellations of the same names. But due to precession, the constellations have shifted about 300 in the last 2,000 years. This means that the constellation of Virgo is now in the sign of Libra, the constellation of Libra is now in the sign of Scorpio and so on. Thus, if a person is born on September 1, astrologers would call him a Virgo (the sign the sun is in at that date), but the sun is actually in the constellation Leo at that date. So there are two different zodiacs: one which slowly moves (the sidereal zodiac) and one which is stationary (the tropical zodiac). Which zodiac should be used? 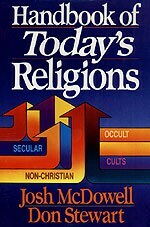 (Kenneth Boa, Cults, World Religions, and You, Victor Books, 1977, pp. 124, 125). Furthermore, no constellation ever recurs. As Koch points out, "The most weighty factor is the astronomer's objection that no constellation in the sky ever recurs. Hence, astrological interpretations lack every basis of comparison. Hence, solstitial horoscopy rests on presuppositions which are scientifically untenable" (Kurt Koch, Christian Counseling and Occultism, Grand Rapids: Kregel Pub., 1973, p. 94). You are wearied with your many counsels; let now the astrologers, those who prophesy by the stars, those who predict by the new moons, stand up and save you from what will come upon you. Behold, they have become like stubble, fire bums them; they cannot deliver themselves from the power of the flame... there is none to save you (Isaiah 47: 13-15, NASB). Other warnings can be found in such verses as Jeremiah 10:2: "Learn not the way of the heathen, and be not dismayed at the signs of Heaven; for the heathen are dismayed at them." Elsewhere, the Scripture says, "And beware, lest you lift up your eyes to heaven and see the sun and the moon and the stars, all the host of heaven, and be drawn away and worship them and serve them" (Deuteronomy 4:19, NASB). The Book of Daniel gives us a comparison between the astrologers and those dedicated to the true and living God. Chapter 1:20 reveals that Daniel and his three friends would be ten times better in matters of wisdom and understanding than the astrologers because they served the living and true God rather than the stars. When the king had a dream, the astrologers could not give an explanation for it, but rather God alone had the answer, for it is only He who can reveal the future (see Daniel 2: 27, 28). The Scriptures make it clear that any type of astrological practice is severely condemned by God, for it attempts to understand the future through occultic means rather than through God's divinely inspired Word. The fatalistic approach of astrology, which says our lives are determined by the stars, is contradicted by Scripture, which holds us responsible for our destiny. Astrology and Christianity are simply incompatible. There are some very real dangers in trying to live your life by a horoscope. First is the attempt to try to run your life by following along in astrology. Since it is apparent a great deal of astrology has no basis in reality, you run the risk of great loss. There can be the loss of money, both of what you may spend on astrology and what the astrologers may recommend for you to do. They may recommend you invest now, buy later, dont purchase this, etc. These recommended investments are no more certain than a fortune cookie, and you could suffer considerable financial loss. Second, a person who continually tries to live his life by a horoscope can become very depressed as he begins to see life as fatalistic, predetermined since his birth, with no opportunity to break free. Women have even refused the medical advice of induced labor for a late pregnancy in order to have their baby born later, so as to be an Aquarius, for example. There is something pitiable about a lady I know who resides in a part of Europe not known for sophisticated medical practices and who refused to have the two-and-a-half-week-late birth of her child induced because she wanted him to be an Aquarius instead of whatever comes before that. I hope that the child suffers no unfortunate consequences (Samuel Hux, The Humanist, May/June 1978, "Parawhatsit: A Certain Incapacity to Appreciate the World," p. 32). This is closely allied to astrology and is said to have its origins in the learning of the ancient Hindus. Their priesthood was sufficiently far advanced in the science of astronomy to be aware of the precession of the equinoxes, which is completed once every 25,827 years; so one cannot lightly dismiss their belief in astrology and the potency of numbers. The belief they held was that each heavenly body is associated with a number, which partakes of its qualities. The date of a persons birth automatically associates him with one number, but that produced by substituting the above numbers for the letters of his name is considered even more important. Should the two be the same, that obviously greatly increases the influence of the planet associated with that number and adds to the potency gained when a person uses that number to further his projects (Dennis Wheatley, The Devil and All His Works, NY: American Heritage Press, 1971, p. 46). If astrology is both unscientific and unbiblical, why do so many people believe in it? One answer would be that it sometimes works, as one book on astrology attests: "When the late astrological genius, Grant Lewi, was asked why he believed in astrology, his blunt answer was, 'I believe in it because it works.' This is as good an answer as any ... we say that astrology works because it is based on natural law" (Joseph Polansky, Sun Sign Success, New York: Warner/Destiny Books, 1977, p. 35). There are so many variables and options to play with that the astrologer is always right. Break a leg when your astrologer told you the signs were good, and he can congratulate you on escaping what might have happened had the signs been bad. Conversely, if you go against the signs and nothing happens, the astrologer can insist that you were subconsciously careful because you were forewarned (Time Magazine, March 21, 1969, p. 56). The suggestive aspect also needs to be taken into consideration, as Koch has pointed out: "The person who seeks advice from an astrologer comes with a certain readiness to believe the horoscope. This predisposition leads to an autosuggestion to order his life according to the horoscope, and thus contribute to its fulfillment" (Kurt Koch, Occult and Christian Counseling, op. cit., p. 95). Rachleff tells of a very interesting experiment in which an identical horoscope was mailed to over 100 persons who had given their natal information to a post office box number. The recipients had 12 different birth periods represented by their birth dates, and their varieties were as opposite as could be expected, through Leo and Cancer. Each person was told that the horoscope sent out pertained only to that one person, and basically they accepted it as such. He tells us that "many admired its pertinence and exactitude" (p. 38). The fact is, if enough information is given, we are able to find ways in which it fits our own experiences (Clifford Wilson and John Weldon, Occult Shock and Psychic Forces, San Diego: Master Books, 1980, p. 118). Astrology is bankrupt both biblically and scientifically. Since it is fatalistic in its approach, it rules out the free choice of each of us, leaving man merely as a cog in the cosmic machinery. This view of reality is at odds with Scripture, which indicates all of us have both the capacity and responsibility to choose which road in life we will take. Astrology would deny us that choice and therefore must be rejected. The Scripture show us a better way of looking into the future, seeing that God has already told us what the future holds for each of us and for our planet.